In the last decade, we have seen a dramatic increase in the percentage of renters versus homeowners in the United States. This shift has brought a great opportunity for growth in the multi-family housing sector, but also competition. To stay ahead of the game, developers are building apartment communities more like resorts, with resort-like amenities, such as concierge services and coffee bars. The higher the perceived value of the amenity, the more attractive a property looks to renters. The question is: which amenities do renters value the most? Though many trends are out the door as quickly as they come, we keep an eye on the trends that stand the test of time. Our clients look to us to find out what we see as emerging trends and hottest amenities for their clientele. 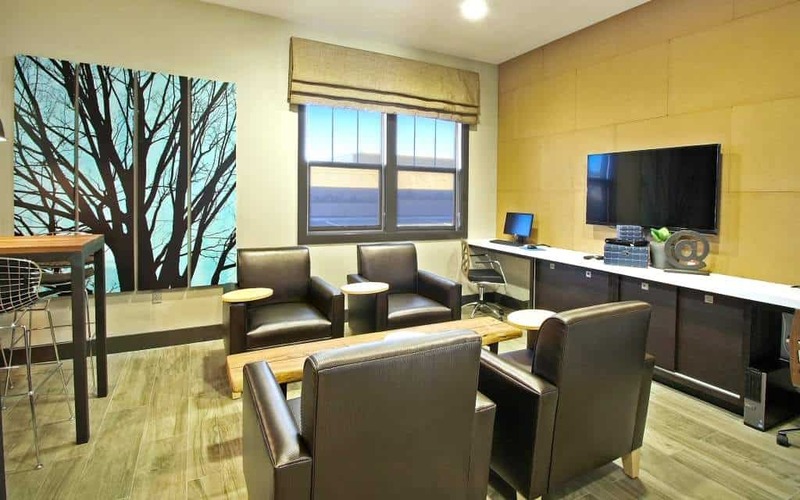 With over 20 years of experience, providing comprehensive corporate and commercial interior design for over 450 projects throughout the West Coast, Catalina Design Group has become experts on how developers can differentiate their properties to attract the right demographic. Sunscreen by day, s’mores by night — This is one trend that is so well received that we are certain it is here to stay. 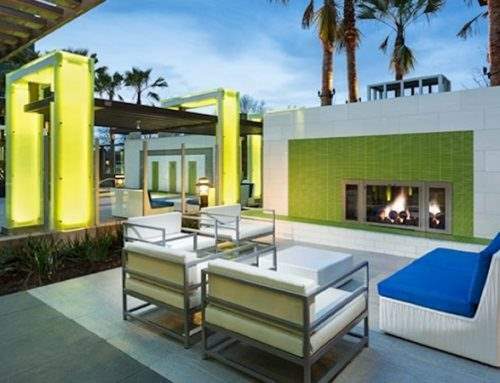 For the West Coast, especially in areas with great weather like Southern California, multi-functional outdoor spaces are extremely popular with renters. With apartments being small, this amenity acts as an extension of the tenant’s living space. These outdoor spaces commonly have a clubroom with a kitchen that flows out into the pool area for parties and gatherings. Outside, the patio is usually complete with fire pits and plenty of seating area for lounging. Waking up before the sun to get a run in, only to come back after work for some yoga? 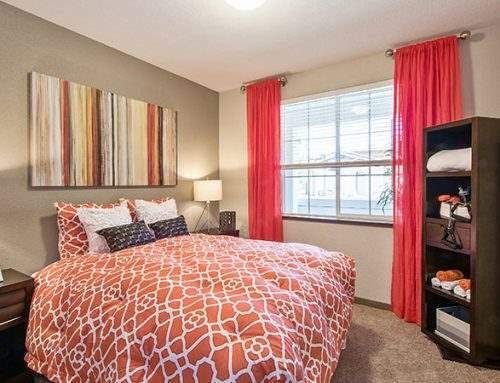 Might not sound ideal, but to your renter it is. 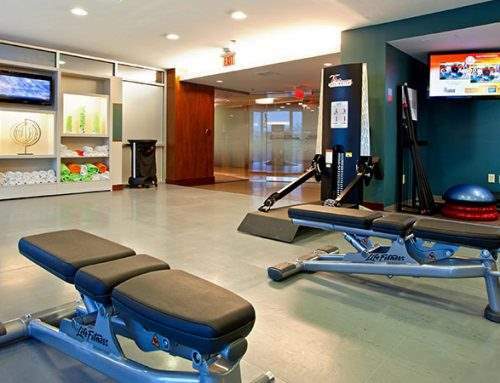 24-hour fitness centers are the most important and most used amenity in multi-family housing. In fact, it is the number one amenity for all of the projects we currently have on our boards! 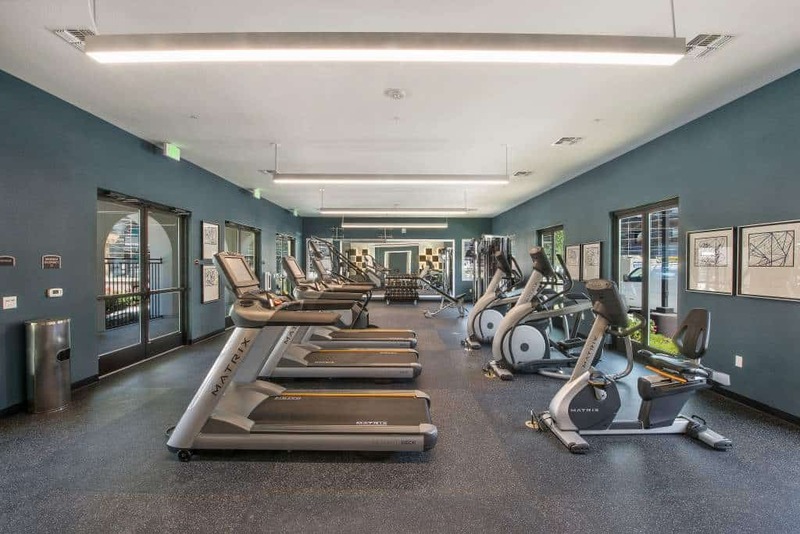 It’s not just a fitness center, though (which are usually large, two floors, and feels more like a gym that you would belong to); we typically have a separate dual-purpose exercise room for yoga, Pilates, Zumba or spin class. These centers are going high-tech, too. The exercise room has a virtual feature that acts as a virtual instructor. How cool is that? Indoor theaters are out – that is outdoors. Outdoor theaters are the latest trend we have seen emerge over the last year or so. 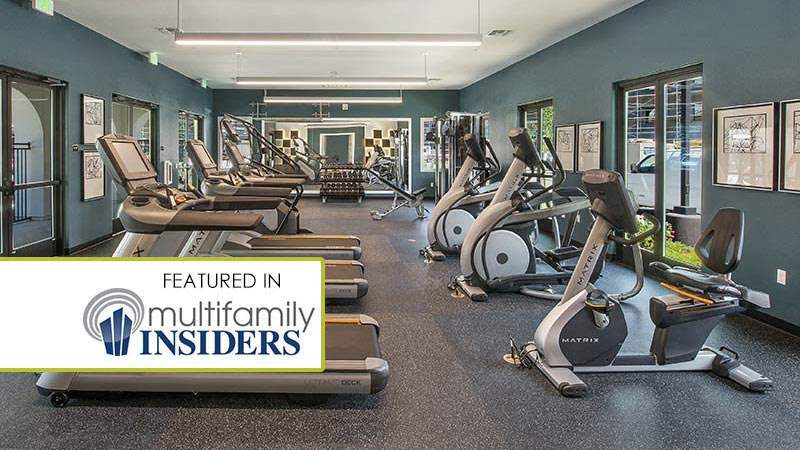 In many of these multi-family developments, the tenants are single, young professionals who are looking for spaces to conveniently hang out with friends. These outdoor theatres can be out by a lawn or a fire pit and are a great way to add to the functionality and features of the outdoor seating area. 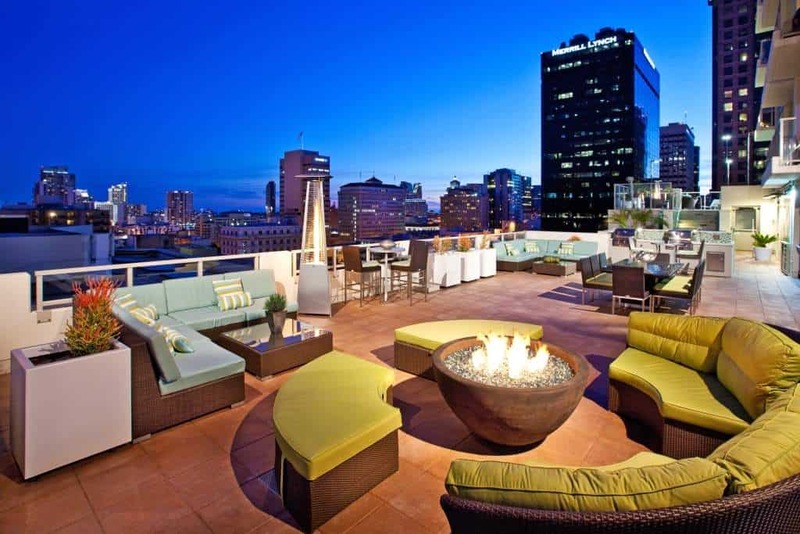 Just like outdoor spaces and theaters, rooftop decks give tenants extra room for entertaining or just hanging out. This is a highly desirable amenity for today’s renter. The rooftop deck, commonly called a party deck, is usually divided into separate spaces so that it can be utilized comfortably by several groups of people. Dining tables and barbeques are also a staple to making the rooftop deck a great place to gather. We recommend making the rooftop deck feel like an outdoor living room with comfortable furniture for relaxing, outdoor heaters for cooler nights, and overhangs to provide shade for those extra sunny days. It is also fun to add statement pieces; something a little different, such as a hanging egg chair, will make the space more memorable and continuously draw people back. Fore! Golf simulators are a new and innovative trend that we are seeing, hitting it especially big in Los Angeles. New developments in Koreatown and Glendale all have golf simulators. This is a definite differentiator, but certainly trendy. We’ll see how long it lasts, and if people even use it, but for now it definitely makes our list. Say goodbye to home offices! Renters are seeking work areas outside of their homes, but close enough where they can easily embrace the extra workspace. Office spaces in today’s Multi-Family housing communities are geared more towards the areas that we use to refer to as “Business Centers.” Traditionally, there would be computers and printer stations for tenants to conveniently access if they didn’t have their own. Today, since nearly everyone has a laptop, we have gotten away from these traditional business centers and headed towards more of a Cyber Cafe or e-Lounge. Most would agree that no commute is the best commute. 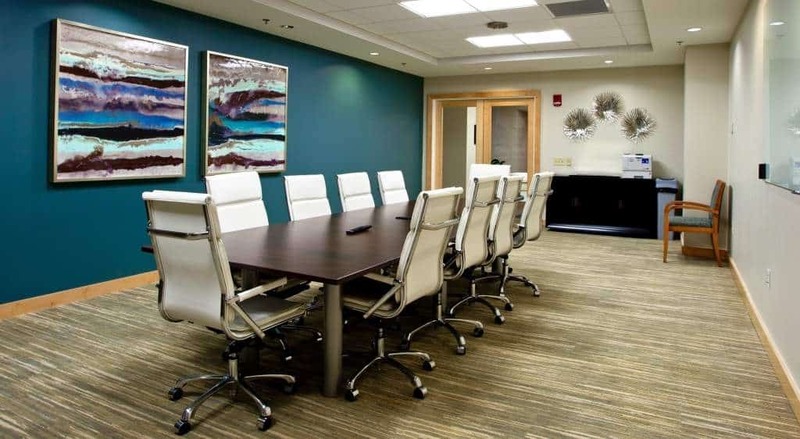 Within the office spaces, it is also common to find a conference room for use. Entrepreneurs, business owners, and even study groups can utilize this space for meetings without any outside distractions or interruptions. Sometimes there are also cubbies with banquette seating to provide an alternative open space to meet. 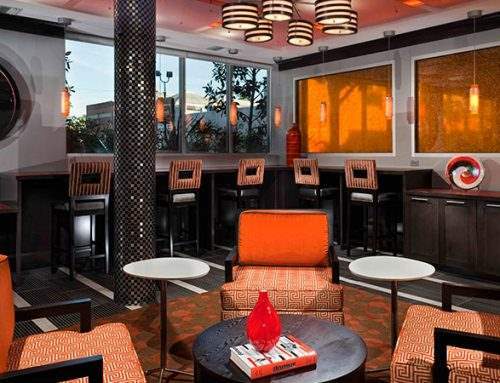 Like the clubroom, the sports bar is a place to entertain and hang out with fellow tenants and friends. It is more about casual entertaining; a space with activities and a TV; a place where you can hang out with your buddies, shoot pool, and drink beer while watching the big game. The sports bar is definitely a hit with renters. 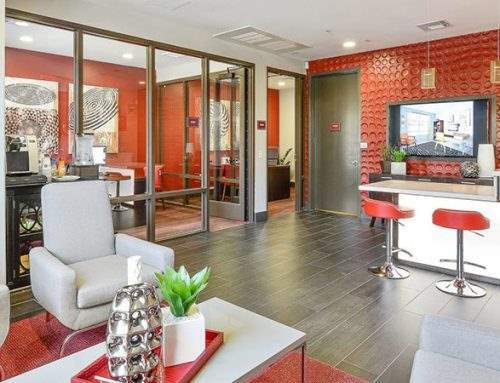 Because apartments tend to be smaller and less open, smart multi-family developers are finding success with open areas that act as an extension of living quarters. The Cyber Café is a favorite amongst prospective tenants. Who wouldn’t want to lounge with your friends while working with a homemade espresso in hand? Appealing to a man’s best friend is a great way to attract the young professional.15 years ago establishments allowing pets were scarce, but now nearly every building is pet friendly. Accordingly, nearly every community has a pet spa. These spaces include an area with big tubs and dryers where tenants can bathe their beloved 4-legged friends. We design these rooms with all tile floors and walls so everything can be easily hosed down. We also hang waterproof artwork that can also be hosed down to give the room more character and make it fun and lively. We will be offering our in-depth expertise with each trending amenity over the next few months. Sign up for our email updates so you don’t miss a single trend!